German Chancellor Angela Merkel’s main rival in this year’s federal elections has launched a scathing attack on President Donald J. Trump, labelling him “unacceptable” and an “autocrat” who offends all German people. Martin Schulz is the leader of the nation’s second party, the Social Democratic Party of Germany (SPD), and a former long-standing president of the European Parliament. He was backing the chancellor, who had insisted Europe must “forge its own way” and said Mr. Trump offered “simple answers” after the U.S. President criticised Germany at the G7 summit. “No freely elected head of our government in our country should allow him or herself to be humiliated in this way, the way [President Trump], like an autocratic leader, believed he could inflict humiliation in Brussels,” Mr. Schulz blasted. “That is unacceptable,” he added. Mr. Trump had called Germany’s trade and defence policies “very bad” for the U.S. at the G7 summit in Italy, calling on the wealthy nation to pay its way in NATO. Mr. Schulz made similar comments on Sunday shortly after the chancellor’s remarks. “A stronger cooperation of European countries on all levels is the answer to Donald Trump,” he told the public broadcaster ARD. The best answer to Donald Trump is a stronger Europe. La meilleure réponse à Donald Trump, c'est une Europe plus forte. 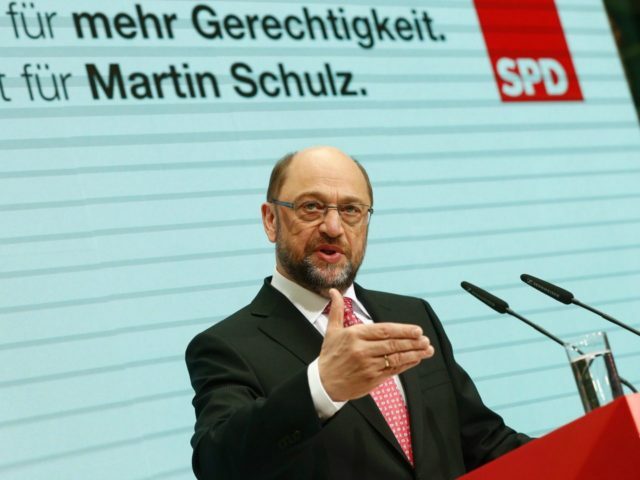 The SPD leader stepped down as president of the European Parliament after five years leading it and more than 20 sitting as an MEP to stand against Mrs. Merkel in his home country in September of this year. His party initially surged in the polls, briefly overtaking Mrs. Merkel’s conservatives in January. However, they have slipped since then and performed badly in local elections.